Back in March, my friend Amanda lent me a tatting shuttle and some crochet thread after she had shown me tatting. Amanda did a demonstration on how to do it, and I thought it looked pretty. A few nights after that, I tried to teach myself. And I tried. I just couldn’t do it. I could not get that darn stitch to flip. I gave up on it. Until a few nights ago. 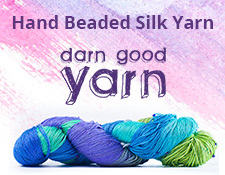 Oh, what is tatting? 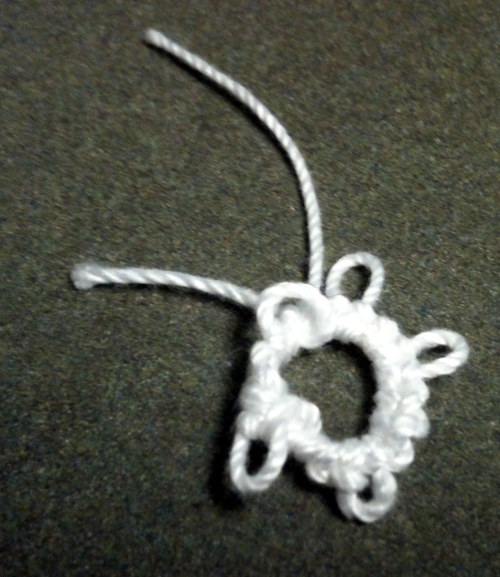 Tatting is a way to make lace, usually with a shuttle. Legend has it that tatting was the poor women’s way of getting lace for fancy clothing. It evolved into an art that was fading and nearly forgotten, but is now making a comeback. Three basic parts of tatting are the double stitch, the flip, and the picot. The double stitch is the knot you make. The flip is manipulating the knot to slide up and down the shuttle thread. The picot is a little loop between double stitches. Not the greatest explanation, but you get the point. I was ordering a few things off Amazon for a friend’s birthday, and decided to grab a few things off my own and my DH’s to even it out for free shipping. I had a few tatting books on my list, so I decided to get the cheapest one, Easy Tatting. It had decent reviews and I thought it would be good. The well-illustrated diagrams helped me A LOT. I can do the double stitch! The stitches do the flip! I can make sloppy picots! They slide up and down the thread like they are supposed to! Huzzah! I have been practicing making rings with the double stitch and picots. See my poor little ring? I’m proud of that ring. It’s not spiffy like Amanda’s, but I’ll get there. I’ve only been tatting a few days! This seems to be a repeating theme in my crafting life. If I don’t succeed, put it down, and pick it up a long time later, and, BINGO, I’ve got the right idea! So, Amanda, THANK YOU! I will get my own shuttle and return yours to you. I think I’m going to like this craft. Excellent! Let me know how it goes!